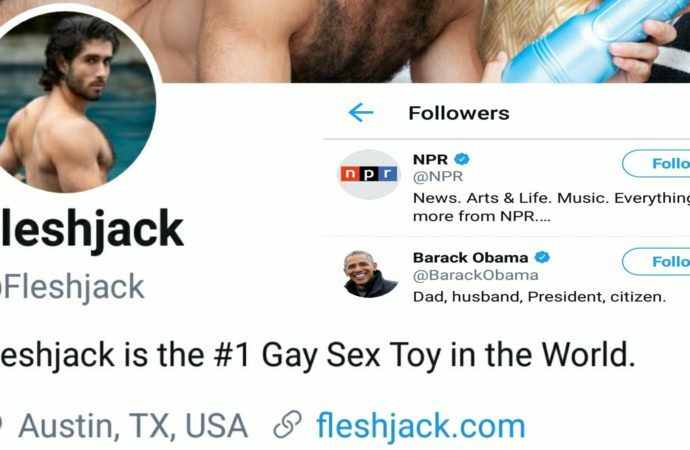 This entry was posted in Obama and tagged Fleshjack, Obama on February 5, 2019 by Bone Fish. Recall in May, Senate Judiciary Committee Chairman Chuck Grassley (R-IA) fired off a letter to the Department of Justice demanding unredacted versions of text messages between FBI agent Peter Strzok and former bureau attorney Lisa Page, including one exchange which took place after Strzok had returned from London as part of the recently launched “Operation Crossfire Hurricane” referring to the Obama White House “running” an unknown investigation. This entry was posted in Obama, Trump and tagged Obama, Trump Coup d’état on July 22, 2018 by Bone Fish. A bombshell report claims that the NSA, under then President Obama, conducted years of illegal searches of American’s private data. The report appears in the online publication Circa and details how once-classified documents show how the spy agency failed to disclose the abuses. According to a previously classified report reviewed by Circa, one in 20 electronic communications by Americans were scooped up and kept by the NSA. The NSA admitted that the actions of the so-called 702 database potentially violated the fourth amendment protections of millions of Americans. This even after the spy agency’s own supervisors agreed in 2011 to follow certain safeguards. The publication goes on to say the Obama administration self-disclosed the violations late last year just before President Donald Trump was elected. The admittance of wrongdoing was made before the Foreign Intelligence Surveillance Court. The agency received a strong rebuke from the court according to Circa. In early January, shortly before President Trump’s inauguration, Obama administration officials changed the rules regarding the handling of sensitive information of Americans scooped up in NSA data collection. The rule change did away with the previous safeguards and allowed wide dispersion of information on individuals to be spread across several agencies. The American Civil Liberties Union expressed shock to Circa that the abuses were admitted by government officials. Over the last several months, various operatives with the government have tried to tamp down claims of intentional wiretapping by the former administration. This entry was posted in Government, Obama, Tyranny and tagged ACLU, American Civil Liberties Union, NSA, NSA illegal searches, NSA spying on Americans, Obama on May 24, 2017 by Bone Fish. All of this is forgotten when the ruling elites and the presstitutes that serve only them refocused the demonetization on Trump. Suddenly, it was the president-elect of the United States who was the main danger to the US and the American people. Trump was a Russian agent. He had conspired with Putin to steal the US election from Hillary Clinton and make the White House a partner of Putin’s alleged reconstruction of the Soviet Empire. This entry was posted in America, Government, Obama, Trump, Tyranny and tagged democracy, Obama, Trump on May 4, 2017 by Bone Fish. It’s no secret that Barack Obama and Hillary Clinton are habitual liars. If their lips are moving, you can bet that they’re spewing some sort of falsehood. Finally, after years of their shenanigans, a former Obama administration insider has now come forward to reveal a huge lie that the pair told the American people, and this one has had some very real repercussions. Back in 2013, the United States brokered a deal with Russia and Syria which was designed to get rid of the chemical weapons stockpile that dictator Bashar al-Assad was using against his own people. The Obama administration frequently claimed success for getting all of the chemical weapons out of Syria, something which they apparently knew full well they had not accomplished, yet chose to tell us all anyway. In a New York Times article published Sunday, former high-ranking Obama administration official Tony Blinken admitted as much, saying, “We always knew we had not gotten everything, that the Syrians had not been fully forthcoming in their declaration.” Fast forward four years and that one lie perpetuated by the Obama administration has set off a chain reaction which some fear could lead to WWIII. It became woefully apparent that Assad still has chemical weapons last week, when he used sarin gas to kill nearly 100 noncombatants, including infants and children, in the rebel-held town of Khan Sheikhoun. Moved by the heart-wrenching photographs of tiny babies suffering excruciating deaths from the nerve gas which is banned by the UN, President Donald Trump responded by directing two U.S. Navy warships stationed in the Mediterranean Sea to fire 59 Tomahawk cruise missiles at the air base from which Assad launched his chemical attack. Trump’s military assault was a success, earning praise from Syrians everywhere who have been suffering for years but had grown used to Obama’s inaction when it came to Assad’s brutal war crimes. In 2013, after the Syrian dictator had waged another even more devastating chemical attack against his own people, Obama threatened recourse, but his administration ultimately did nothing. Then, he followed that crucial mistake up by lying to us all regarding Assad’s access to more chemical weapons. Tony Blinken, who served as the former deputy secretary of state and former deputy national security adviser under Obama, apparently grew tired of perpetuating the lie which his colleagues, including Susan Rice and John Kerry, were so used to telling. His admission to the NY Times serves as proof that Obama’s dreadful foreign policy placed us in the precarious position we find ourselves in now. While some have speculated that the air strike last week could lead to WWIII, it appears that Assad has gotten the intended message and does not plan on retaliating, at least at the moment. Only time will tell if he heeds Donald Trump’s warning and does not cross any more red lines. However, if the time does come for greater conflict, be sure to blame Barack Obama, not Donald Trump, for the mess that follows. This entry was posted in Obama and tagged John Kerry, Obama, Susan Rice, Syria, Syria attack on April 10, 2017 by Bone Fish. The Wikileaks VAULT7 documents will rock the deep state CIA to its very core. This entry was posted in America, American History, Clinton, Government, Obama, Trump, Tyranny and tagged CIA, Clinton, Deep State, Drain The Swamp, Obama, Trump, Vault 7 on March 11, 2017 by Bone Fish.